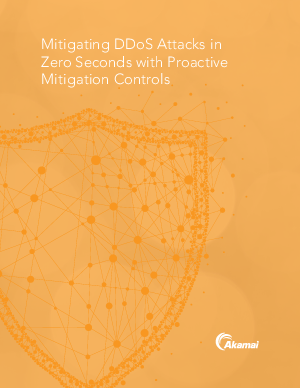 Akamai now mitigates the more than 65% of the 10,000-plus yearly DDoS attacks against its Prolexic platform via proactive mitigation controls, in 0 seconds and with no customer impact. The number of DDoS attacks instantly mitigated via the Prolexic platform has increased exponentially over the past four years. We attribute this growth to our proactive engagement with customers, and the ability to implement and manage proactive mitigation postures based upon their baselined network traffic. Akamai has been detecting and successfully mitigating DDoS attacks in an industry-leading SLA for 15 years. We will illustrate how Akamai continues to lead the industry with new capabilities including advanced customer traffic profiling and proactive mitigation controls to ensure the best possible results during an actual DDoS event.